Located in Spain’s northern plateau, Ribera del Duero is approximately ninety minutes from Madrid by road. 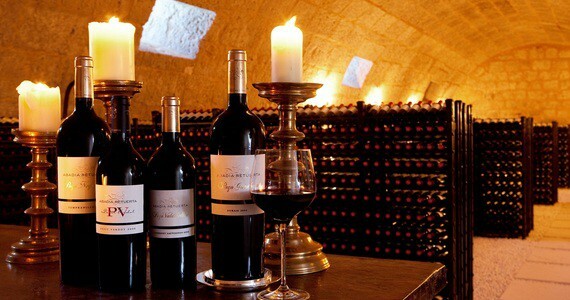 Over the last few decades, the region has become a premier source of world-class red wine. The region is characterised by its flat, rocky terrain, and its most famous vineyards can be found around Peñafiel and Aranda del Duero. It benefits greatly from soils deposited by the river Duero and the terrain provides ideal growing conditions for the Tempranillo grape, known locally as “Tinto Fino”. Ribera del Duero was officially designated a D.O region in 1982, by an organisation of wine growers who aspired to promote their wines. Since then, the area has been transformed through the replanting of vineyards and the investment in modern winemaking techniques by both small, family-run wineries and large corporations. The region’s 240 vineyards occupy around 120 square kilometres, and Ribera del Duero is also home to arguably Spain’s most prestigious wine, Vega Sicilia. With its Romanesque architecture and natural beauty, the region has become increasingly popular as an oenotouristic destination. There is even a museum dedicated to Spanish winemaking in the impressive Moorish castle in Peñafiel. The appellation’s terroir and the native Tempranillo grape are combined to create bold and expressive red wines that are characterised by their complexity, intensity and powerful fruit flavours. The Albillo grape is the only white variety that can be found in the region, but this wine is primarily distributed locally. Wines from Ribera del Duero are delicious when they are young, but in common with the wines of La Rioja, they also have the capacity to age magnificently. Ribera del Duero wines are becoming increasingly popular, producing 60 million litres of wine annually. "First Class." We have had a fabulous time and can't thank you enough - the attention to my requests and the detail of the trip was great. We loved the hotel and the town - there was an added bonus for us in that the town was doing a tapas and wine festival for three days so we joined in with the fun which was brilliant and such good value - really like old Spain which we loved. 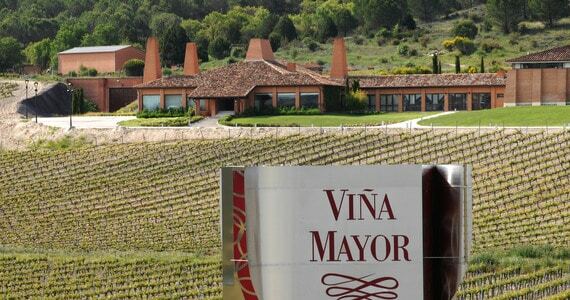 Our exclusive Rioja and Ribera del Duero Wine Tour combines two world-famous wine regions with the opportunity to stay in luxurious 5* hotels, try some delicious local cuisine and visit some of the most prestigious wineries of the area.